Our minds, as amazing and powerful as they are, also inherently limit us and keep us locked into lower levels of consciousness. Let me explain. Your mind is limited to processing via images, thoughts, ideas, imagination, and logic. All incredible tools that are essential to grow and thrive, however, conspicuously missing from this lineup are the equally important processing tools of feeling, emotion, and intuition, which can and do open doors into entirely new realms of human experience, ability and ultimately consciousness. Without incorporating this felt intuitive sense into your awareness and life, you keep yourself only experiencing a fraction of reality and operating from an inherently limited vantage point that is counterproductive to the act of expanding your consciousness. To understand more fully what I mean, take, for example, what the field of neurocardiology is revealing about the heart. In it’s own way, the heart rivals the brain as a sensory processing center in the body containing it’s own nervous system with around 40,000 neurons, described as sensory neurites. 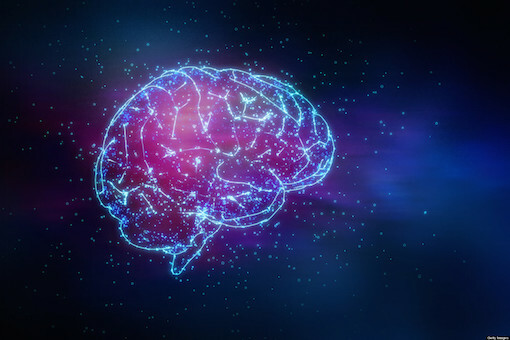 What is quickly becoming known as the “heart-brain” or “heart-mind” is an intricate network of several types of neurons, neurotransmitters, proteins, and support cells similar to those found in the brain proper. It’s remarkably elaborate circuitry enables it to operate as a sort of secondary information-processing center that can learn, remember, and act independently of the cranial brain and actually connect and send signals to key brain areas such as the amygdala, thalamus, and hypothalamus, which regulate our perceptions and emotions. By all markers, we seem to have a second “brain” in our chest. A fascinating study published in the Journal of Alternative and Complementary Medicine found that our hearts can receive and respond to stimuli even before the cranial brain processes it, which most people experience as a premonitive flash of insight about impending events or circumstances, which is an academic description of intuitive insight. If your goal is to ultimately expand your consciousness, you’ll definitely want to develop your intuitive, emotional intelligence. Here’s why: your intuition dynamically adjusts itself to the ever-changing circumstances and conditions that exist whenever you need to make a decision. It takes into account a huge number of variables that your conscious mind cannot even begin to comprehend, let alone process, and guides you towards the choices that will provide the most beneficial outcome for you and everyone involved. Imagine for a second that you are playing a game of chess against a powerful computer. How many moves in advance can you see before things get hazy? Maybe two or three at most until the number of possible combinations of moves and countermoves you and the computer could make becomes so complex it is beyond the capability of your conscious mind to keep track of, let alone make sense of. Now consider the computer you are playing against. In a few nanoseconds—instantaneously for all intents and purposes—it can foresee every possible combination of potential scenarios that could occur and make the ideal move given whatever circumstances are present at that very moment. If you haven’t guessed it already, the computer is a metaphor for your intuition—one of your greatest allies for improving the quality of your life and expanding your consciousness. In order to experience the full range of human abilities, you must ultimately learn to calibrate to your intuitive awareness and that process begins by moving from mind dominance to a more balanced state incorporating intuitive, heart-based awareness. You, in a certain sense, are a construct. Your personality, your beliefs, your preferences, your taste in music and food, what you like and dislike… These are almost all learned habits that are conditioned into you over time, mostly by your experiences as a young child, well before you had the ability to rationally discern, challenge and analyze the experiences you were having in order to decide if you would accept them into your belief structures, which are your conceptual map of the world, life, and reality. That faculty doesn’t come until later in your childhood, typically around age eight or nine, which means that almost everything you experienced before that age was simply absorbed into your mind without rational consideration, in whatever way you interpreted it at the time. Experiences, ideas, philosophies, euphemisms, etc. were basically accepted without challenge, which means that you have been highly influenced and shaped by a) your parents and immediate family b) friends, teachers and authority figures and c) society as a whole. In your early childhood years, you’re basically like a sponge picking up whatever comes into your awareness. These perceptions and beliefs go on to form your “default programming.” And, as you may have guessed, it’s usually pretty terrible. The beliefs we pick up as children are so deeply embedded into our subconscious minds that we believe they are reality, not understanding that they are simple neural programming that allows us to make sense of reality—to interpret the incredibly complex stream of data that hits our mind’s incoming perceptual filter in any given moment. There is simply too much sensory information coming in for the conscious mind to process at any given moment and so it uses our belief structures to interpret and categorize what we experience in real-time, rejecting that which is out of sync with your beliefs and accepting that which fits your perceptual model of the world/reality. Therefore your beliefs are your programming. They determine how you experience and see the world. They form your personality, your preferences, and your tastes, and they also largely determine your emotional reaction to various situations and experiences. In short, they are hugely influential. To you, they are everything. On the surface as an adult it seems inconsequential, but as a child, it’s all very intense and even traumatic. You’re happy as can be just following your bliss and suddenly a giant, intimidating authority figure, often one of the most important and meaningful people in your life, is yelling at you and telling you essentially that you are bad and wrong for doing what came naturally to you. This leads us to form beliefs like “I am wrong.” and “Love is conditional.” and so on. These become deeply embedded in our psyche and typically go unchallenged for the rest of our lives, leading to all kinds of destructive and maladaptive behaviors and perceptions that affect every area of our life from health to wealth to relationships and beyond. Eventually, if you desire to become truly happy, successful and fulfilled in life, which most people do, you will need to examine this unconscious baggage, these sacred wounds you have been carrying with you your entire life. This is, in large part, the process of becoming conscious and aware. First discovering and then challenging these unconscious patterns, perceptions, and beliefs on every level—as they pertain to you, to others, to life, to the world and so on—fundamentally reprogramming your heart and mind in any direction you choose. You must shift your inner neural programming to align with the true nature of reality, to see the world and life how it really is, or at least in a way that is constructive, positive and uplifting. There are many powerful tools to do this kind of work, and I highly recommend looking into the following: Neurolinguistic Programming (NLP), Jungian Psychology, Hypnosis, Eye Movement Desensitization and Reprocessing Therapy, Constellation Therapy and Huna Philosophy, among others. Because we must be the change that we wish to see in the world, not only will this process of healing and reprogramming shift your own consciousness, but it will also be a major contribution to the evolution of consciousness on the planet as well. It is, in fact, the greatest impact you can have in many ways: leading by example, through embodiment of your truest self. And the best part is that it is the fastest path to the deepest fulfillment, success, joy, and peace that exists. After all, isn’t that why you want to shift your consciousness in the first place—to experience all that life has to offer and to have a positive impact with your life? If you’re reading this piece, I can safely assume it’s a resounding yes.